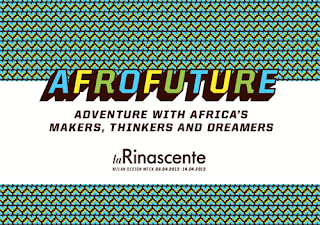 Set to take over flagship store La Rinascente, Afrofuture is a showcase of how Africa, the world's second largest continent, is exploring new frontiers through media, events and performance. 'Afrofuture shines a modern, pan-African light on what can, is and could happen in design in and beyond Africa...and to think big about how the rapidly emerging future will see mould-breaking designers coming from radical underground to the global mainstream.' says showcase developer and writer, Nana Ocran. 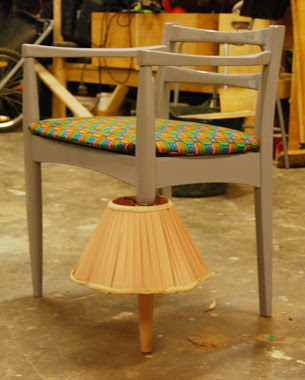 Yinka Illori is a relatively new furniture designer, but since graduating his feet haven't really touched the ground. We have known Yinka for about six months now, and in that time he has shown his work in New York, London and Frankfurt, but Milan is set to be a real highlight, and he's starting to feel the pressure being under such an international spotlight. How did you get selected as an exhibitor? 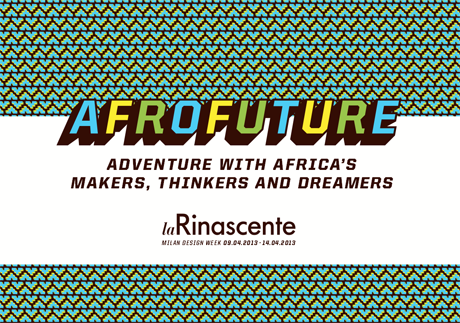 "Being part of Afrofuture at the the La Rinascente all came about when Beatrice Galilee, the curator, contacted me via email. She came across my work on-line with an interview that I did with writer Stephanie Baptist a few months ago on the blog Another Africa. I invited Beatrice and her assistant to my studio, and she really liked my previous work, and workshop proposal for Afrofuture. The invitation to be part of the exhibition came soon after. It was unbelievable, I never thought that this opportunity would happen so soon! I am really excited, and at the same time nervous...more excited now it's so soon though..."
"I am really looking forward to my workshop...it's the first time for doing a workshop, let alone in Milan! It's a great opportunity for me to push myself and try something totally different. If it's successful, maybe it will be something I will consider doing in the future. 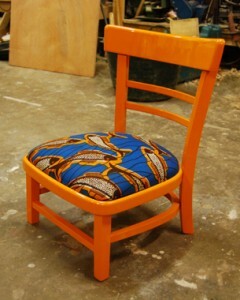 It would a good opportunity to give people an insight into my thoughts when up-cycling, and how I use Nigerian parables to tell meaningful stories through my work..."
"...All the action of the workshop will be curated with a special Nigerian playlist I created, including legendary artists like Fela Kuti and King Sunny Ade. I grew up listening to this music, my parents always played it in the house...all of their music told stories and changed lives, and that's something that I've always wanted to emulate in my work. Being able to bring these two powerful elements together is going to be a phenomenal experience!" Have you got any plans to visit any other shows? "I will be there for three days so I will be trying my hardest to check out a lot of the designers and their shows/installations. I am most excited about seeing The Kane Kwei Carpentry Workshop, a studio established in Teshie, Ghana in the 1950s. It is known for its design coffins that became symbolic of African artistic creativity. It's also showcasing as part of Afrofuture, so something I am really looking forward to seeing..."
"...I also want to check out Lee Broom's crystal bulbs, I think they are amazing! And also Designersblock...so many exciting things to see, you should see my list, it's crazy!"